God’s Law is perfect. The Law of God is the foundation and source, as well as the preserver, of life, liberty, justice and love. 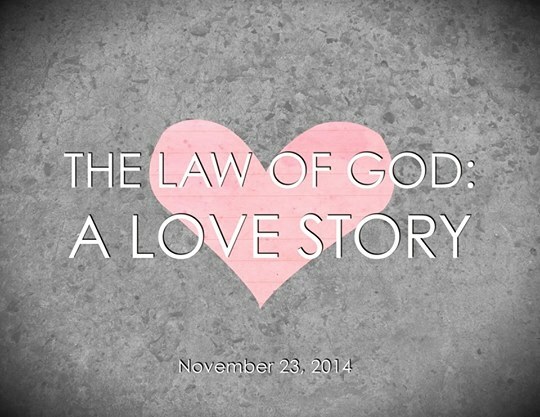 This Sermon, given at Grace Church of Dunedin, presents a survey of the Biblical Narrative as the Story of God’s Law. This Story is of a God who creates and redeems a people for his own precious possession. He is a jealous husband and and good King. Living out a limited Gospel is practical atheism. The Enlightenment thinkers set in place rules prohibiting the Christian worldview from being expressed or having any say in culture and the public square. Relegating the gospel to the realm of “private religious experience” it has been effectively silenced. Finally after years and generations of struggle by the Christian Church to see a Gospel movement in America, the state of our society indicates a grim reality, we have given up. Not that we have given up “believing in Jesus” or our hope in heaven, an afterlife that promises a longed for escape and reprieve from the pains and miseries of this world. We have given up good sound doctrine concerning what the Gospel is and what it encompasses. We live as if the Gospel is primarily about our plight and condition. To us, the Gospel is about us, and what we do with it in secret is noble, worthy and good enough. We pick some causes that we deem as a violation of Gods Laws and fight fervently while ignoring other violations, agreeing with the Secularism that has boxed us in, “something is better than nothing”. Today is a day to come back to right doctrine. God’s perfect standard expressed in his Law and his justice and power demonstrated through the victory of his unique Son whom he has established as King of the nations requires us to change. Indeed the Gospel is not a message of how to obtain a ticket to heaven, as though heaven was a realm way out in space completely distinct from us and the only way we will get there is through our deaths. The Gospel is the message that Jesus is King and that his Kingdom is here. Heaven has come to this broken world, and we are to pray “thy will be done” because the death and resurrection of Jesus is the means through which he has defeated all powers, both earthly and spiritual. 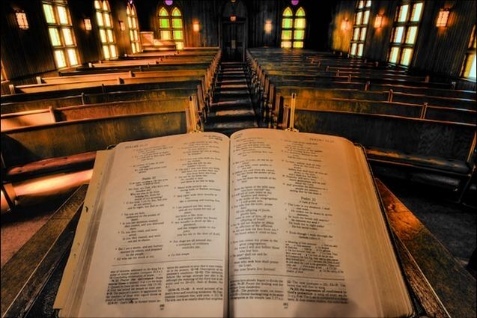 This Gospel is more than a philosophical idea to be discussed at a distance by scholars in lofty towers, it is more than a private joy to be kept secret, locked away in church buildings. It is the message of power that brings “the lofty down from their thrones”, Luke 1:51. It gets results instead of just wishing things would change. The Kingdom of God calls the people of God to action, and it calls us to hold this message dear as our explanatory framework. The Gospel is hope and a solution for all that pains this place. There is not one area of life and existence that does not find itself well within the reign of Christ. Our social ills even systemic racism, worldwide hunger, poverty, violence and all other evils can never be solved and eradicated through secularism. The Enlightenment has lied to us all. Human reason is itself inconsistent and flawed, we cannot reason our way out of the cave. After hundreds of years, the Age of Reason has proven to be the Dark Ages. Its time for the Spirit filled people of God to let their light shine. When we live a limited Gospel that is about us and our plight, the result is a society that does not know the Gospel. This type of Gospel religion looks the exact same as Atheism in a practical sense. May we cease living as Atheism would have us live, as if the reign of Jesus is a figurative or imaginary one. He is King active in his rule now. He has brought the world as we knew it to an end. The New Age of God’s salvation has come. May we be people who live in this new age, living out the full Gospel, heralding the Great King who’s Kingdom will know no end. About an hours’ drive from my Church in Dunedin Fl is a little town called, Wimauma. There is a community of migrant farmworkers there made up mostly of families who must pick and harvest to survive. They live below the poverty level, most are not legal aliens, have no health insurance and are over charged for rent by their land lords. They are hard working and seeking a better life for them and their families, one they believe cannot be had in their own countries. Beth-El is a mission there dedicated to serving the needs and families of the migrant farmworker. They provide food and clothing for the families, health, and legal advice, education for the children and an adult high school. In addition to all these services, Beth-El provides a message of hope through the Gospel of Jesus. There is a congregation that meets there for worship and fellowship; like Koinonia Farm before them, Beth-El is a real and living “demonstration plot for the Kingdom of God”. Beth-El has helped me to see a real need in our culture to obey the Law of God in regards to the stranger in our land, the alien or immigrant. Exodus and Deuteronomy record God’s vision for strangers. He loves them and desires to include them in his people and to show them that they are humans and therefore created in his image and have his special attention. He charges his people to love them as he does and to care for them as their own family, for indeed we are all one under God. Israel is also given another motivation for seeing the immigrant as one they love; Israel was once a people of immigrants and strangers in Egypt. Indeed, Israel’s beginnings under Abraham were as a nomadic tribe. Wherever they went they were strangers and passers through. If there is anything we have in common as a nation with ancient Israel it is that we too are a nation of immigrants and aliens. My great, great grandmother was a member of the Blackfoot tribe and I have ancestors from Ireland and England, how can I look down at an immigrant from Mexico or Guatemala without looking down also at my ancestors? And not to mention how can I treat the immigrant with prejudice and injustice and say I love God and his law? I wonder can these same questions be posed by our nation as a whole? We all have ancestors that had to come through Ellis Island in order to give us citizenship in this great nation. Do we actually believe that we as Americans can afford to shun the stranger? Another point I would like to draw from the example of Israel is that like her we are all born in exile. An angle with a flaming sword guarding the entrance to the Garden of Eden signifies our desolate state as a species. We were created to reflect God’s image of beauty and justice to the world and each other, to live forever with our great God as his children and stewards. We are however not permitted into the Garden ever again. 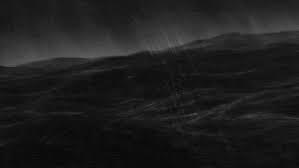 We wander aimlessly through existence without purpose, without our humanity. Is it any wonder that when we are awakened by his grace that we experience such fullness in our lives never before present? It is the victory and provision of Jesus that opens up the Garden once again, in him we return home to our God and to our humanity. Our salvation is therefore dependent on God’s kindness to us as strangers. We cannot know him unless he discloses himself. We remain a stranger until he reaches down and adopts us into his kingdom. I believe then it is the duty of those given grace to inspire our nation of immigrants to a greater compassion for the strangers in their land. To love God is to love our neighbor, whether they are across our street or across our borders.